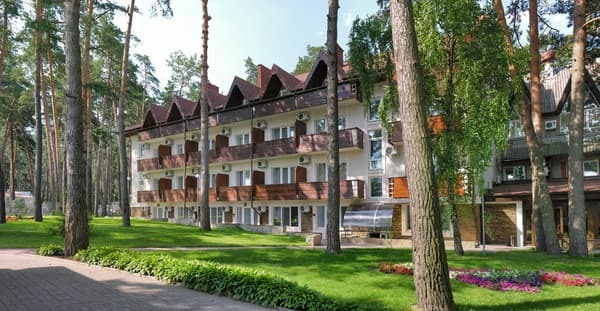 Hotel Ukraine is one of the best hotels of Cherkasy city, which exists from 2001. Our hotel has everything for our visitors` rest and, if necessary, for visitors` work: for holding business meetings and presentations. 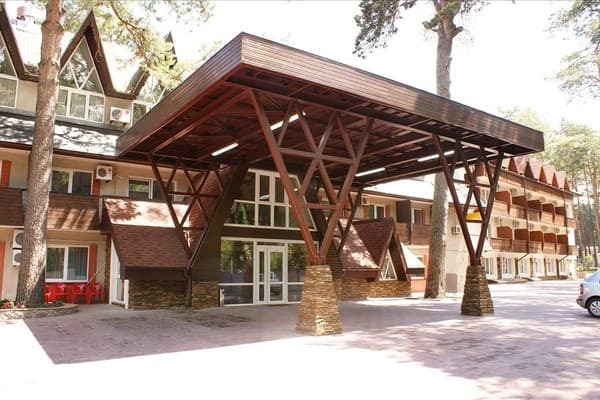 Successful location near the pine wood will make your staying even more pleasant! 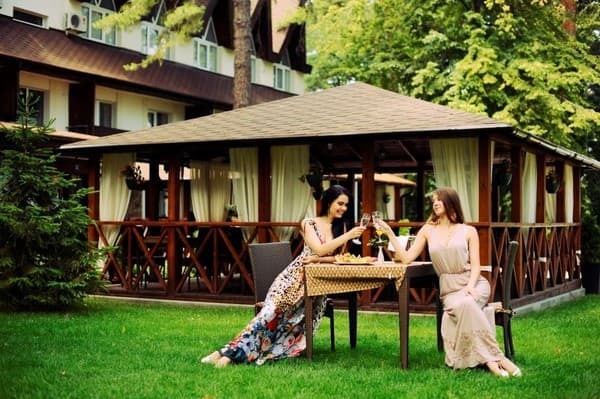 Hotel "Ukraine" offers you comfortable rooms with all modern conveniences. 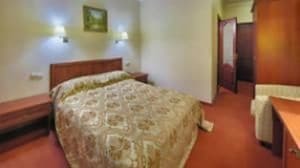 Each room has a big double bed of euro standart (bed clothes are made from best modern anti-allergic material), telephone, TV set, safes, mini-bar and conditioner, cheval glass, dressing gowns and hair-dryers. Rooms of categories standart, half delux, de lux, lux "studio", lux+, lux "studio"+ apartments. Two conference-halls which are modernly equipped. 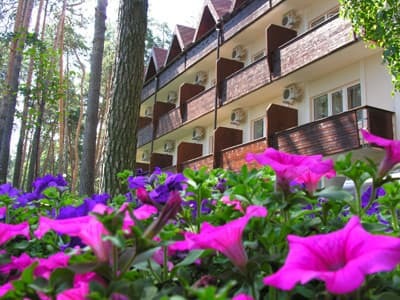 In the hotel works a 24-hour bar, two restaurants, bowling club "Cosmos", billiards and sauna. During the week there is various musical - entertaining program. Soon there will be an opening of a modern fitness-centre (free of charge for hotel vivitors), beauty saloon. Description of the room: Room with a large double bed for two people. Description of the room: Exclusive room "Apartment" reflects the elegance, luxury and comfort. These rooms are suitable for longer stays. Apartments are furnished in a classic style. The apartment has a living room, bedroom, kitchen, bathroom, separate entrance and a private patio. Children under 5 have their accomodation free of charge without an extra-bed. Extra bed is 180 Uah. Breakfast 7:00 - 10:00 - buffet. The restaurant is open until 24:00 - European cuisine. 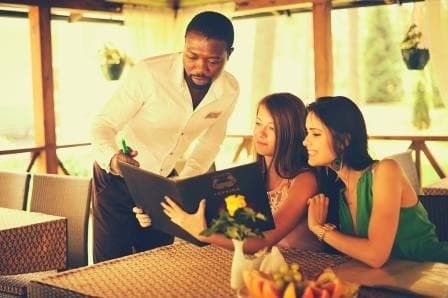 You can order breakfast / lunch / dinner in your room. From the railway station shuttle taxi number 2.